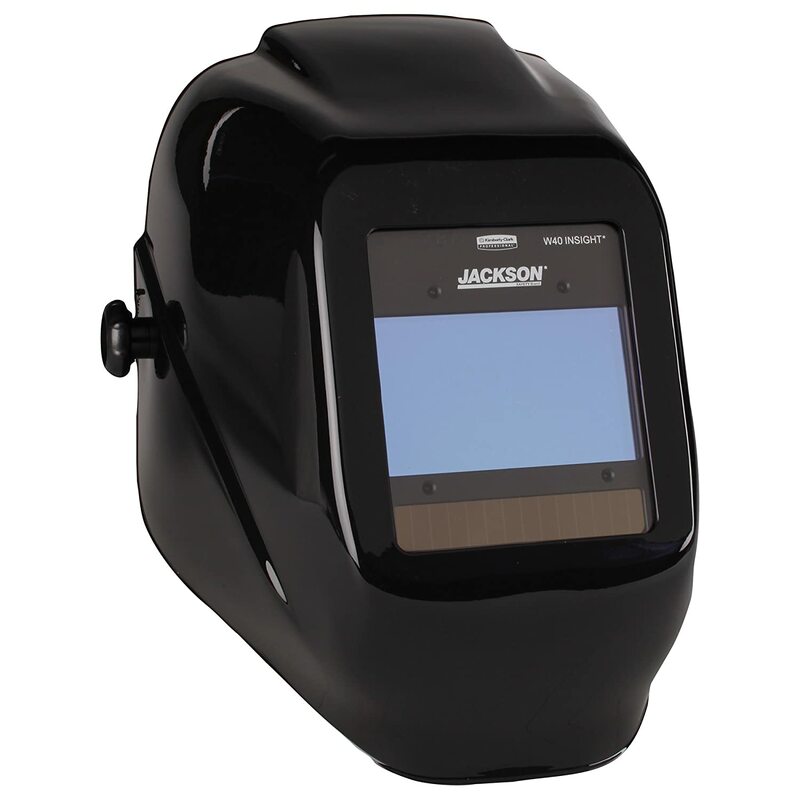 With a 3.78" x 2.07" vision field and a 0.00004 reaction time, the ArcPro 20704 Auto-Darkening Solar Powered Welding Helmet can protect you from harmful UV rays. 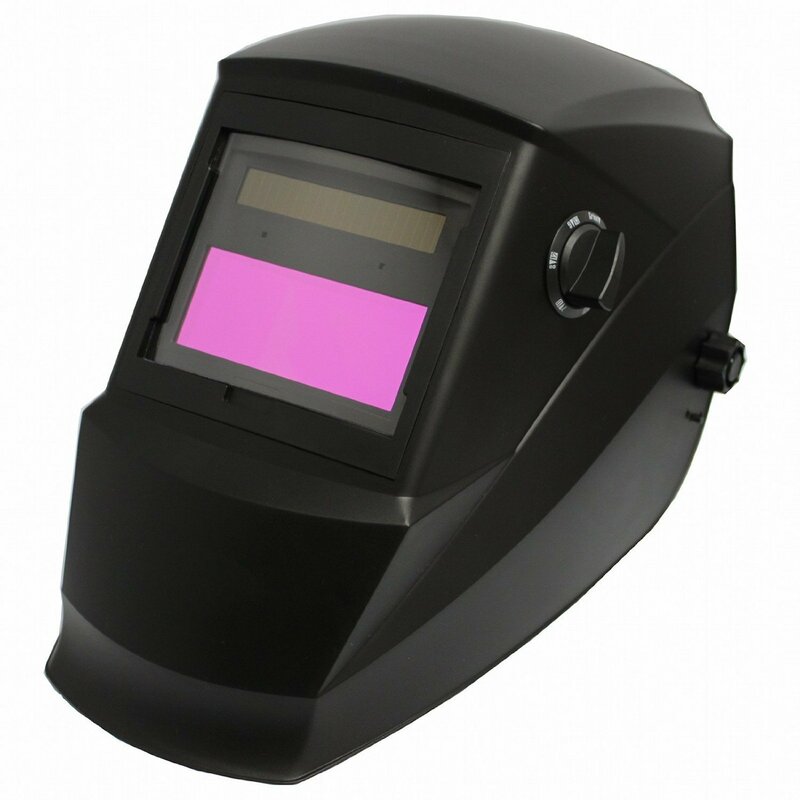 The available shades are from 9 to 13 and is a solar-powered welding helmet. 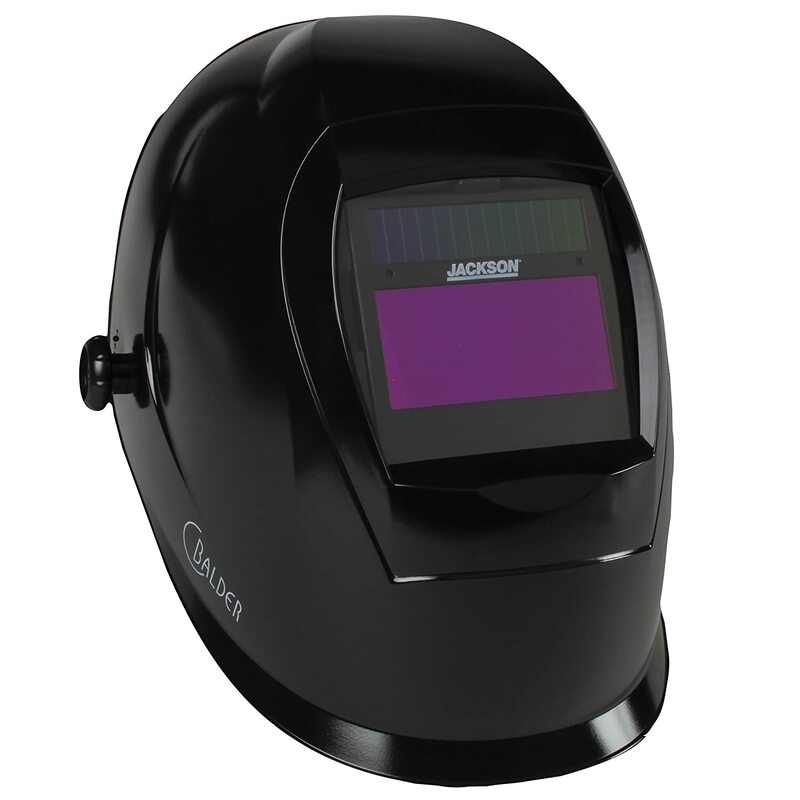 The sensitivity and delay adjustment makes the ArcPro helmet a great welding companion. There is also an automatic on and off switch to avoid accidentally wasting battery life. The helmet comes with 3V lithium batteries and conforms to safety standards all over the world such as ANSI. Knowing that an auto darkening welding helmet is subjected to world standards is a great plus in making sure it can really protect you in the workplace. What makes the ArcPro an effective welding helmet? It auto darkens at 1/25,000th of a second or equivalent to a 0.00004 reaction time. Its solar power makes it an environment friendly tool. 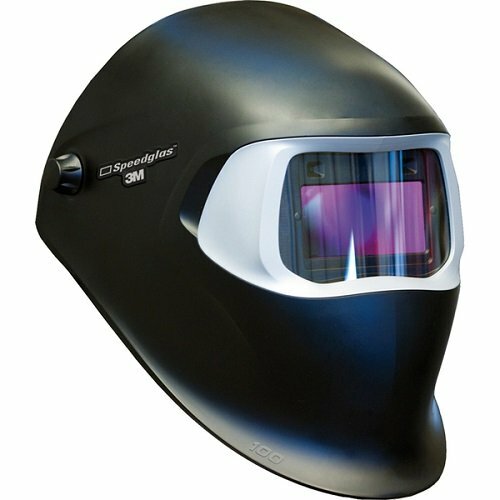 It has welding and grinding modes at different helmet shades. 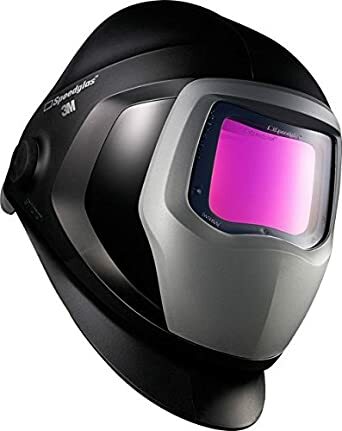 The viewing field is also quite adjustable with a padded headband for the wearer's comfort, especially those who will have to use this for a long-term welding project. 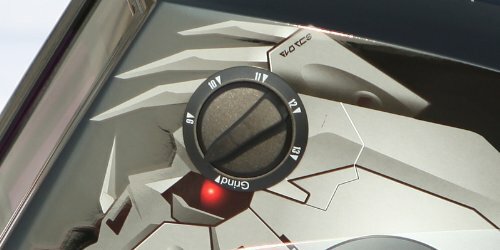 The variable shade is 9 to 13 for welding and 4 for grinding. Large viewing field: the ArcPro welding helmet has a rather large viewing space of 3.78" by 2.07" which makes it a comfortable welding helmet to use especially in dangerous fields and situations where you never know what you might step on or bump into. Great for grinding: like what was mentioned above, the ArcPro 20704 has a grind mode that automatically adjusts for grinding use. Some helmets don’t have a grind mode and you have to make the adjustments manually so this is a plus. Great for oxy fuel burning: the fumes and flickering won’t get into your head as much when you use it for such a task. Good for stick welding: beginners usually start with stick welding as a basic welding skill or training. 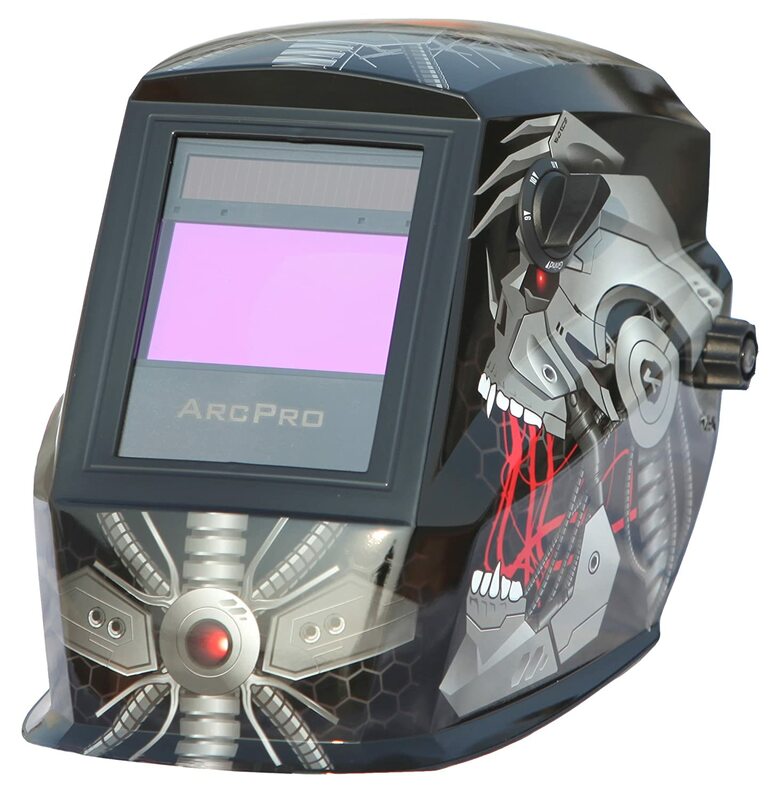 If you want to start welding, consider ArcPro as a first auto darkening welding helmet to protect you. Easy adjustments: the controls for the ArcPro are very user-friendly especially for beginners so you don’t need to worry about safety. Unique design: because it is designed unlike most common auto darkening welding helmets, the workers in your area have a small chance of mistaking your helmet for theirs, as yours will truly be unique judging from the design alone. Difficulty in finding fitting lenses: while its lenses are awesome and good at protecting against UV rays, you may find it difficult to look for a replacement lens when it goes out to the trash bin due to damage. The lenses for ArcPro are specially-made that you would probably have to contact the manufacturer on where to get lenses, which usually cost more than generic lenses for auto darkening helmets. May not be good for TIG welding: some welders complain that it might not be as good as other auto darkening helmets for TIG welding due to the delay time. The helmet requires batteries which are included in the purchase. The adjustable padded headband is a 2-way mechanism that can keep the welder comfortable during work hours. ​The controls feature a stepless adjustable knob. ​An instruction manual / pamphlet is available along with the product. In any case that it isn't available, a sticker on the helmet can help you be informed of the warnings and usage of the ArcPro helmet for safety purposes. Take good care of the lenses, as buying replacement ones are pretty hard to find. You may probably only order them straight from the manufacturer but chances on the black market are pretty rare. 1.Q: There is an AD lens that comes with this product. What color is it? A: The AD lens is of the color blue. 2.Q: Does the ArcPro welding helmet come with an instruction manual? A: It kind of does, but only as a small information pamphlet that tells you the do's and don'ts of using the helmet in general. It also explains more about the helmet's auto darkening feature and the battery replacement, as well as other maintenance info. The helmet also has a warning sticker which should help you out. 3,Q: Is the helmet's lens scratch proof? A: Unfortunately, no helmet outer lens is scratch proof. All you need to do is to buy a soft bag or yarn bag and keep it there to prevent scratches and damages. 4.Q: How many arc sensors does the ArcPro have? A: It has four arc sensors. 5.Q: Is it compatible for a magnifying lens? A: Unfortunately, it might not fit outside the helmet anymore, but in some cases, you can try to make the inside lens as the magnifying lens. 6.Q: Any information on replacing lens covers? A: You can buy the Lincoln KH619 as a replacement lens cover for a dollar. Its dimensions are 4.25" x 5.50". 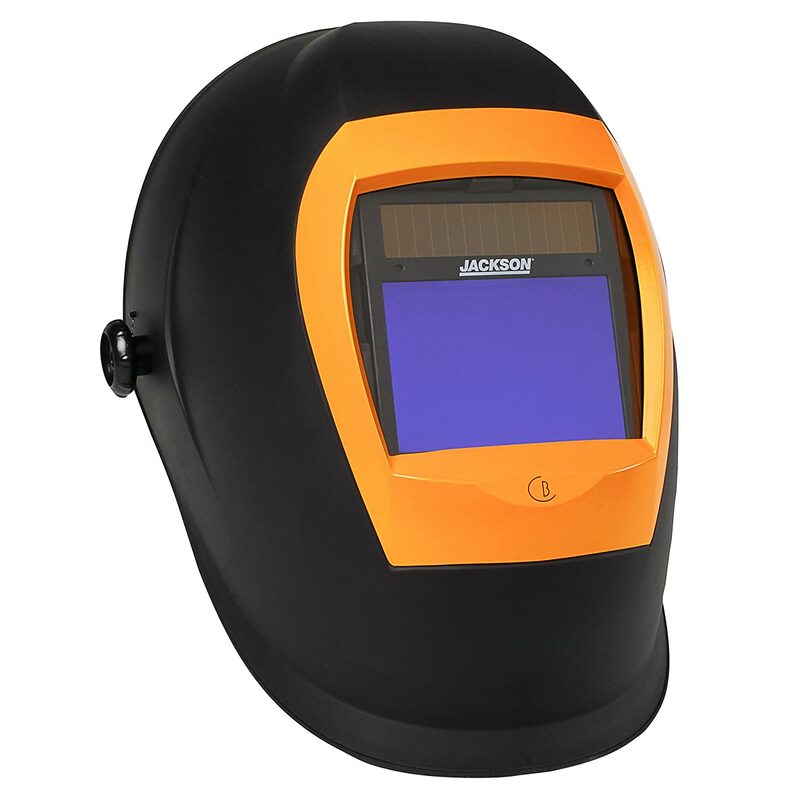 As an overall verdict, the ArcPro 20704 Auto-Darkening Solar Powered Welding Helmet has its share of pros and cons. For instance, it might not be everyone’s cup of tea when it comes to lens replacement due to its lens being special and cannot be replaced by generic lenses that you can easily buy elsewhere. But if you are looking for something that you can easily use for grinding use as a hobbyist welder then look no further than this product.